It is not a surprise that most people search “loft conversion price” when unsurprisingly enough they want a loft conversion price. However what is a surprise is just how wrong the results of the search are. According to a leading search engine (so it must be true, tongue in cheek) a loft conversion price will range from as little as £30,000 up through £60,000. This is misleading. The homeowner cannot be blamed for benchmarking the lowest price and comparing actual loft conversion prices from builders against that. Lots of us would be forgiven for doing the same. But the problem comes when the homeowner is confronted with the actual loft conversion price, and it is significantly more than what they were expecting. 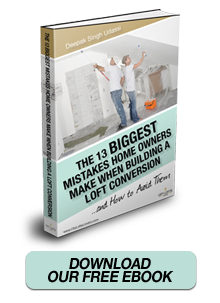 The homeowner thinks the loft company is expensive and the builder’s knee jerk reaction is to lower the price in a race to the bottom, simply to win the work. So what’s wrong with that; the loft company gets the work and the homeowner gets a cheap loft, everyone’s a winner. 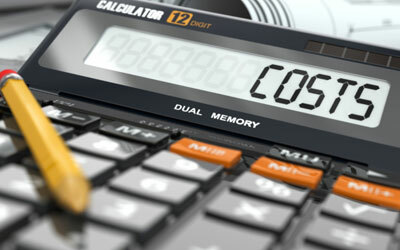 The fact of the matter is that in London, the average 3 bed family home will cost £4,000 on scaffolding, £3,000 and design fees, and then there are the building control inspection costs, issuing of party wall notices, planning fees, completion certificates, parking permits for vans, all the material for the job, plumbing, heating, lighting, steels, structural timers, bathroom suits (which in themselves can be well in excess of £9,000), tiling, flooring, carpets, VAT and on and on. So a loft conversion price has a minimum floor at which any design could be built for. We would suggest the ‘higher’ quoted price was not in fact high at all but rather it was the more honest loft conversion price. In an effort to meet the customer’s cost expectations, the Builder tells them the price they want to hear. Unfortunately what the ‘cheaper’ builders have to do after providing an artificially low loft conversion price is one of two things. Either they cut corners and not finish the job properly to save expenses, or they increase the price once the job has started. So now you know that Google prices are inaccurate. So what is the average conversion price? In London the standard 3 bed family home will cost around £40,000-£46,000 to build, fully finished. This comes with all the usual health warnings of course, taking into account the individual finesse of each house, and is subject to a full architectural survey and planning provisos. For an accurate loft conversion price I regret to inform that you will not find it online, and you will need to get a specialist over to quote you directly. But we have made the process of getting a loft conversion price a little easier. Download the Loft Conversion Estimator app from Apple or Android now, get a FREE loft conversion price within minutes.